Inspired by the Alaska Project III, the latest Speedmaster is a limited edition sold only via Omega's website. 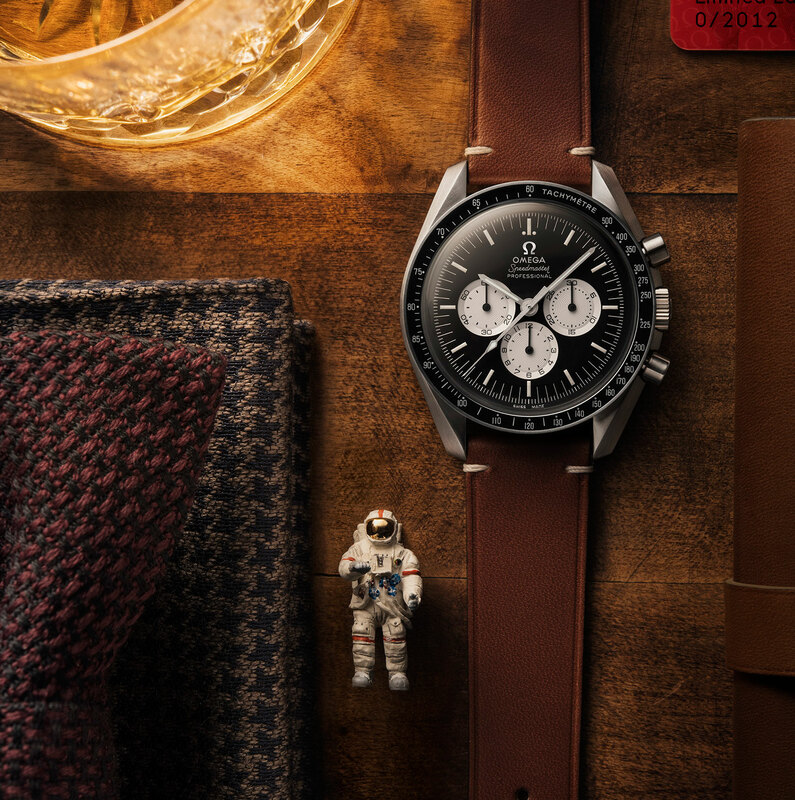 Catchily named Speedmaster “Speedy Tuesday”, the latest Omega Speedmaster Moonwatch is a 2012-piece limited edition offered exclusively online – with reservations done via the Omega website and the watch picked up from one of the brand’s many stores. 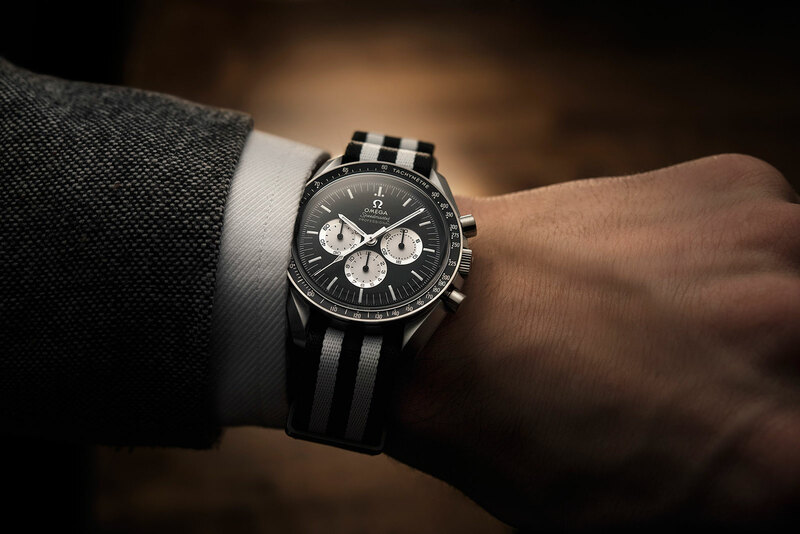 A social media habit that began in 2012 when founder of watch blog Fratello Watches first used #SpeedyTuesday, the hashtag has been given Omega’s stamp of approval with its namesake limited edition (Fratello Watches has also published some great photos of the actual watch). While Speedmaster variants are numerous and frequent, the Speedy Tuesday is unusual, and not just because of the sales channel. 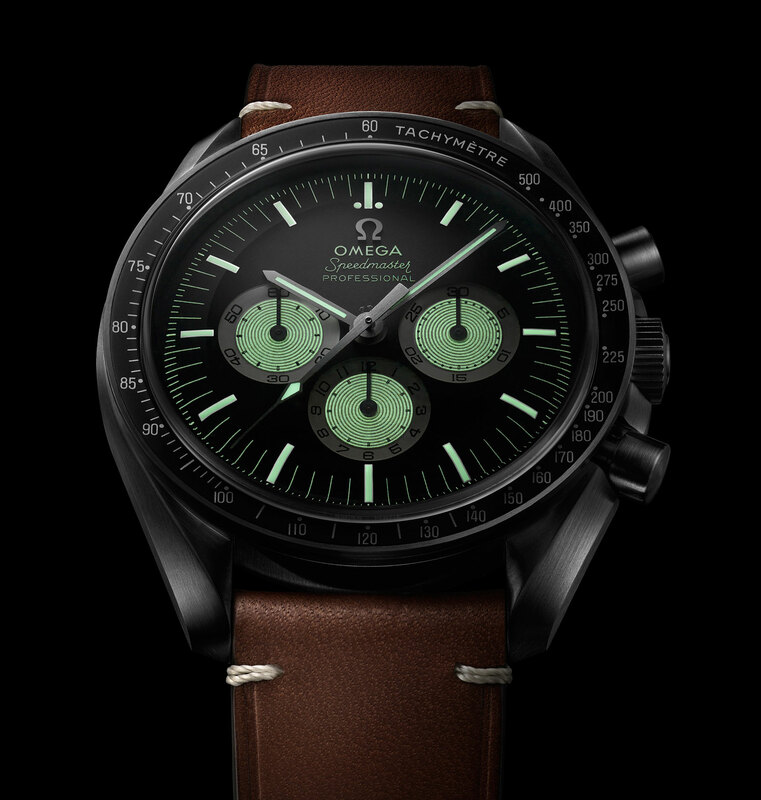 The Speedy Tuesday is based on the Alaska Project III, an experimental wristwatch conceived in 1978, the third in a series of watches Omega produced for NASA in the quest for a timepiece resistant to extreme temperatures. The key feature derived from the Alaska Project III are the radial sub-dials, with markings positioned concentrically on their edge. But the Speedy Tuesday is not an exact replica of the Alaska Project III, so the rest of its design details are a pastiche of various vintage Speedmasters. 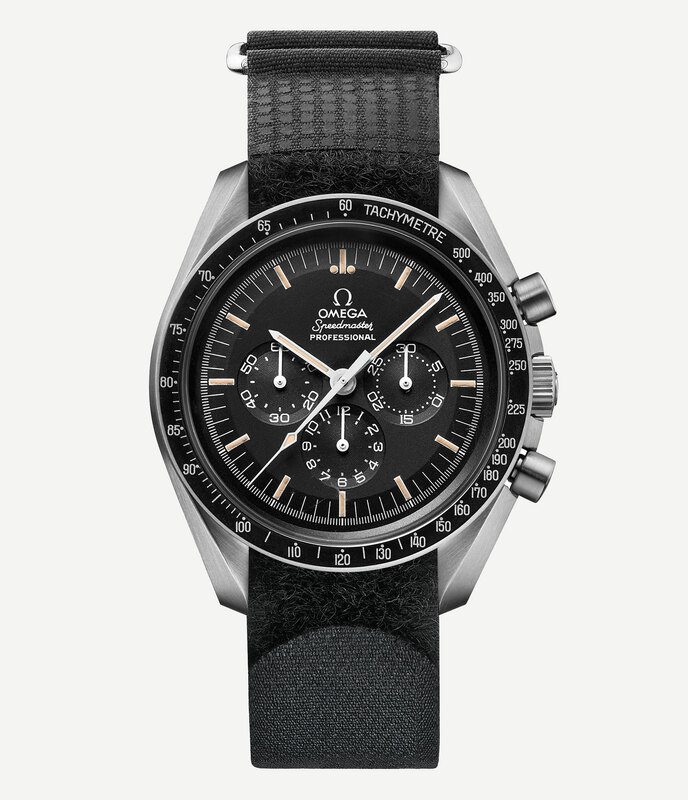 They include the applied Omega logo at 12 o’clock, as well as the “Reverse Panda” colour scheme of white sub-dials on a black dial. 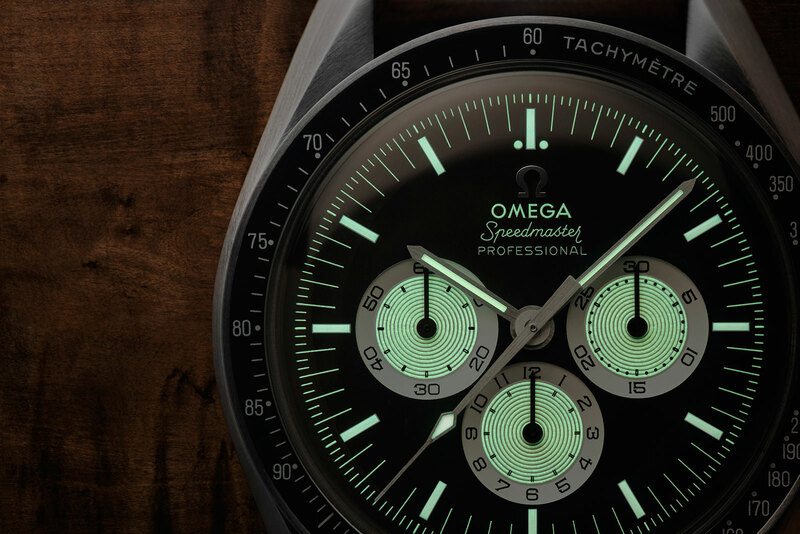 All three sub-dials, as well as dial markings, hands and hour markers, have been painted with Super-Luminova that glows pale green in the dark. 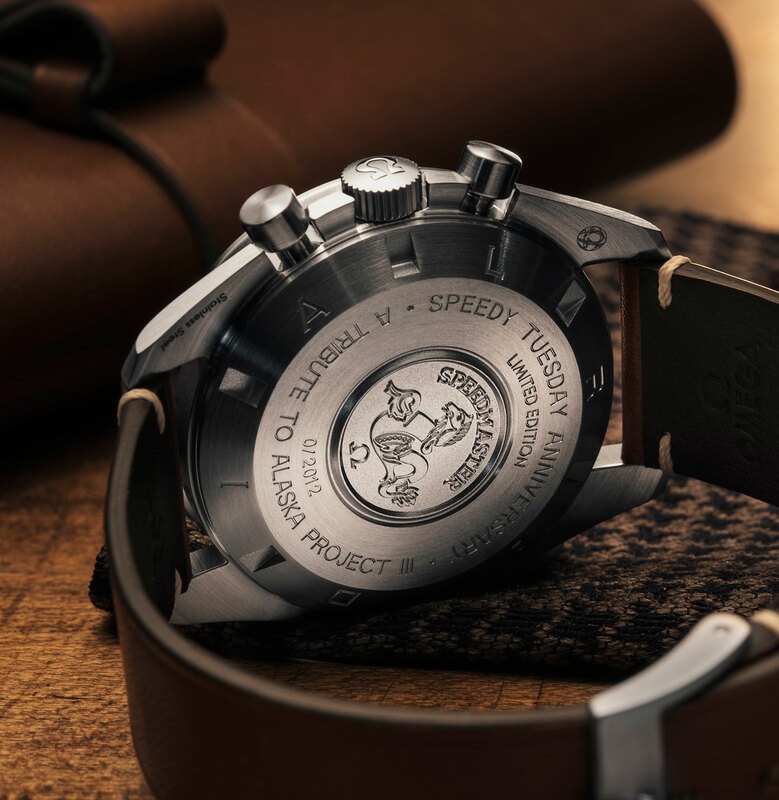 The Speedy Tuesday has a standard 42mm Speedmaster case with lyre lugs, but with a brushed finish on every surface, instead of the alternating brushed and polished finish of the ordinary Speedmaster. The solid case back is engraved with the usual limited edition nomenclature, as well as “RADIAL” in large letters on its rim. Underneath is a rhodium-plated calibre 861, the hand-wound movement based on the Lemania 1873 that’s been a fixture in the Speedmaster since 1968. 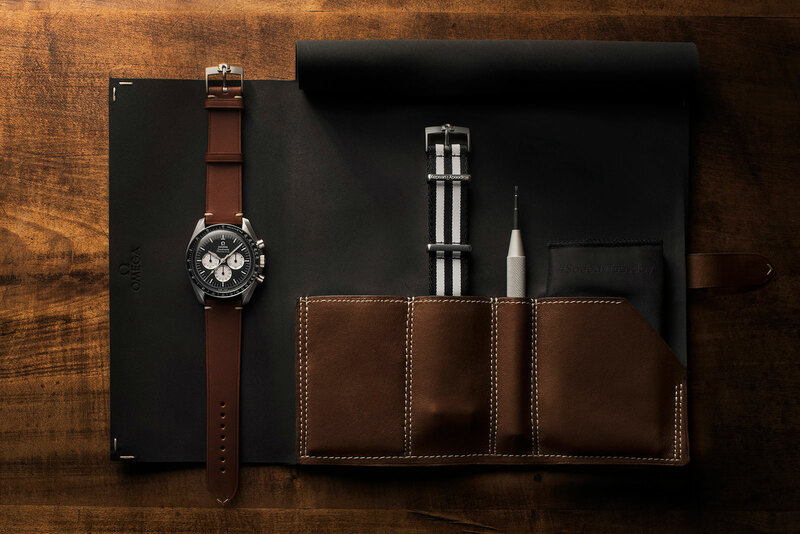 Limited to 2012 pieces, the Speedmaster Speedy Tuesday is delivered with a leather watch roll that contains a NATO-style strap and strap changing tool. 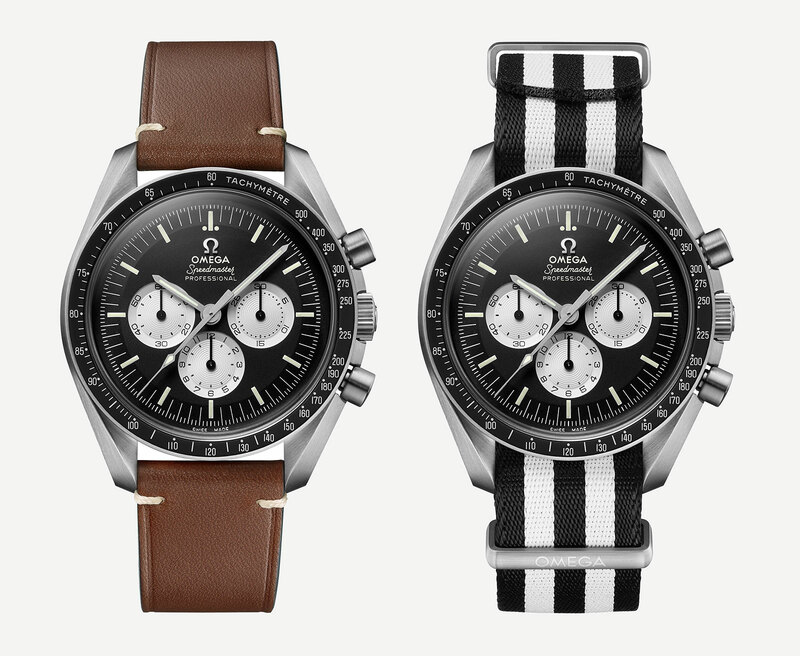 The Speedmaster Speedy Tuesday (ref. 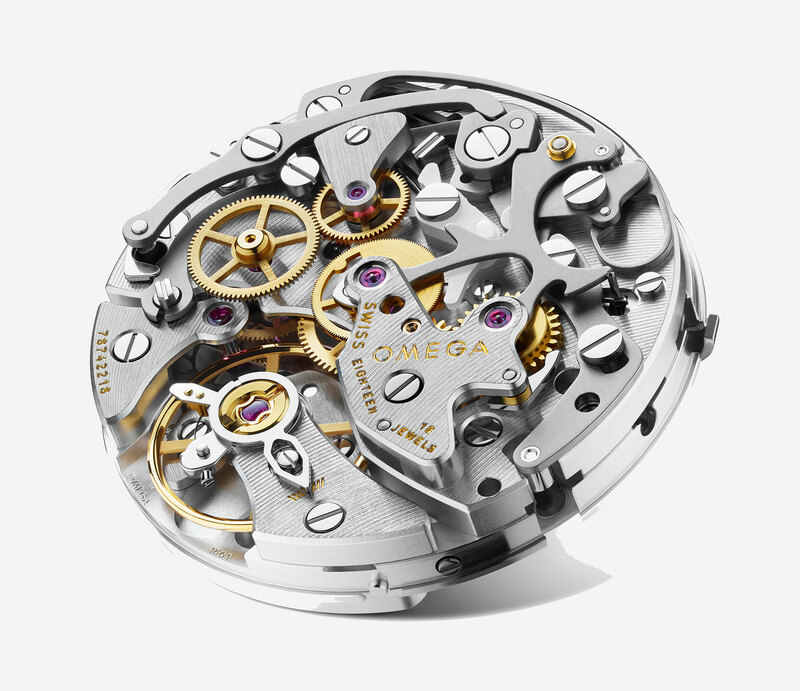 311.32.42.30.01.001) is available for order online direct from Omega, with delivery in the summer of 2017. It is priced at US$6500, €5300 or S$8400.